I love upcycling clothes for a few reasons. Firstly, it’s low stakes (usually). I don’t mind if something I paid $2 for at the Op Shop doesn’t survive my creative adventure. I get a kick out of breathing new life into something someone else had written off. I also love how you can create something that’s not only unique, but specific to my needs (I’ll explain that better next Monday). 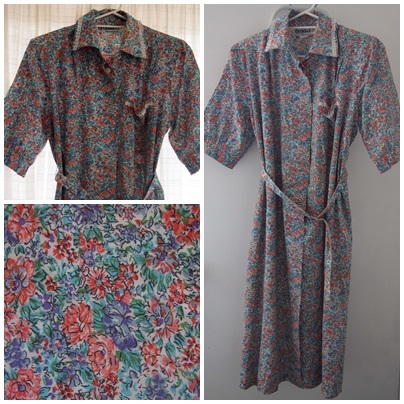 Just below knee length shirt dress with puffy sleeves, shoulder pads and a belted waist. On first impressions, it’s not exactly high fashion, but the print is cute, and it’s 100% cotton. I have plans to create two new pieces out of it – a sleeveless dress for me, and a pair of bloomers for Clara. I cut the sleeves off at the seam, and pulled out the shoulder pads. 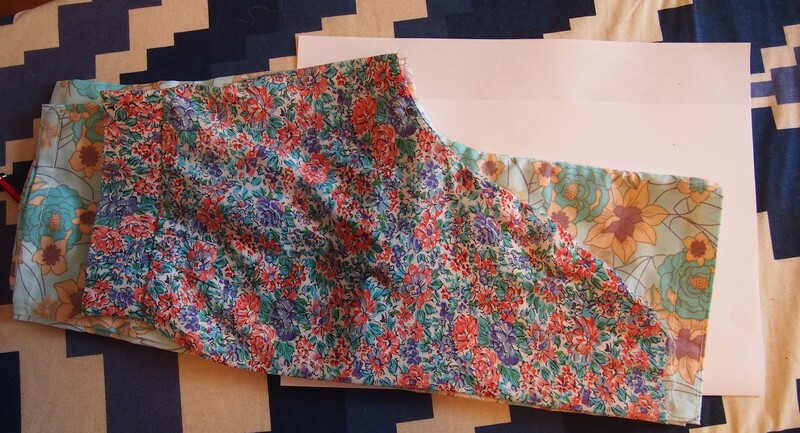 Using the sleeves as the legs, I then traced and cut a pattern piece for the gusset. These will be almost harem pants, so I wasn’t too fussed about shaping them at this point. 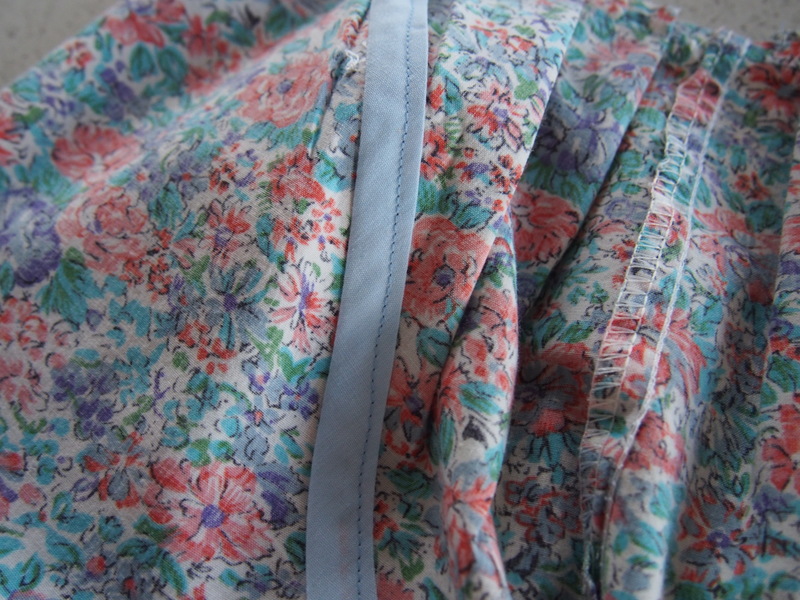 Very fussy seam for a pair of upcycled shorts, but it wasn’t the right place for French seams, and with no overlocker, it was the neatest way to finish. 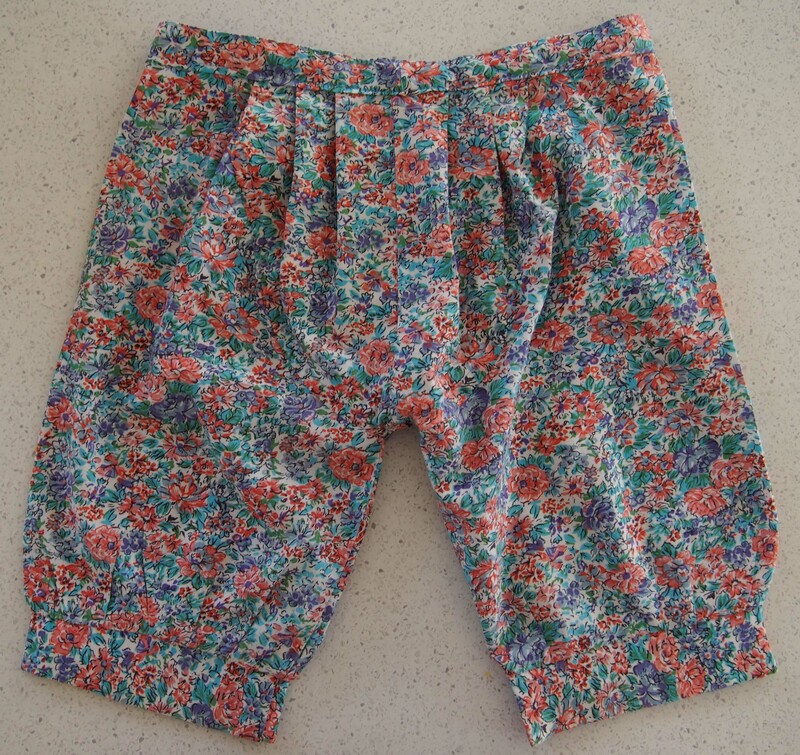 Once the seams were bound, I gave the bloomers a good press, and decided they needed some pleats across the waist front and back. They’ll have an elastic waist, but because I only use narrow elastic for this size, it would really struggle to adequately gather this volume of fabric. The hem of the legs, which were originally the gathered cuff of the sleeves, didn’t need touching – score! I popped on a waist band, and now I’m just waiting for Sleeping Beauty to wake up so I can see how they fit and decide how big to make the waistband. Anyone else a fan of upcycling? Look great! Sacrificial fabric salvaged! Hope Pollylocker recovers quickly.